Dalat wine (also called Vang Dalat) is one of Dalat’s specialities. You will be felt yourself with tasting Dalat red wine side by side your collegues, your family or your lover in the evening of Dalat. What a thrill! Like as most other Asian countries, wine is not the first drink that comes to mind when thinking about Vietnam. 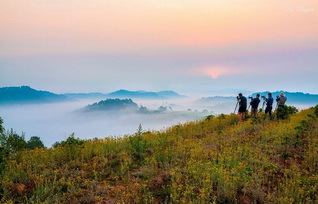 Nevertheless, Dalat city, with its cool central highland climate and strong French heritage, is an anomaly that producing artichokes, strawberries and most recently- wine. Unlike its more sophisticated brethren in France, Northern California or South Africa, Vang Dalat ( Dalat red wine) uses table grapes from nearby Phan Rang – a Vietnam’s main grape-growing region. According to Nguyen Van Viet who has been with his wine company since 1999 explains that Vietnam has a limited history with wine. The French introduced an elite wine culture pre-1954, and during the past decade, because of the improvement in living standards, more people fond of traveling overseas and being exposed to foreign wines. With this in mind, Mr. Viet considered how Vang Dalat could produce a European-style wine similar to traditional Vietnamese wines that any family could afford. Nowaday, his company produces 1.5 million liters of wine a year, including a Superior Red (all grape, 11% alcohol), Strong Red (grape/mulberry blend, 16% alcohol) and even a sparkling white, etc. 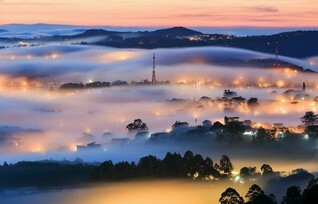 In the meantime, Vang Dalat is just one more good reason to visit Vietnam. If you travel to Dalat, we recommend dinner at Maison Long Hoa, a genteel establishment run by a Vietnamese Francophile. Classical rather than tinny pop plays over the stereo, hearty Vietnamese food offers comfort against the chill outside, along with the strawberry wine made by the owner’s wife. 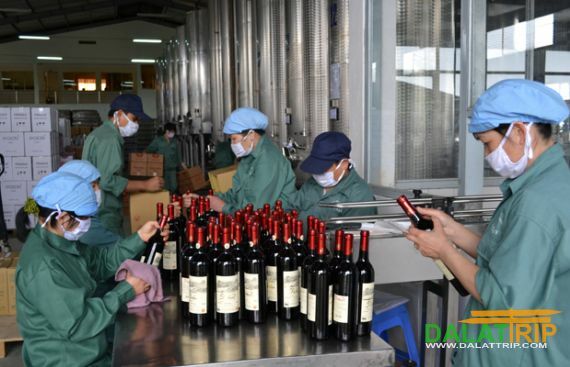 Dalat Wine has to date been made available in most cities and provinces nationwide and is exported to China, Japan, South Korea, Malaysia, Cambodia and Switzerland, amongst others. Particularly, Japan ranks as one of the world’s most fastidious markets with extremely strict requirements for quality, trademarks, packaging and supply services of imported products. Notwithstanding these demands, Dalat Wine finds favour with Japanese consumers. To date, a large and stable quantity of Da Lat Wine has been exported to Japan and the export volume is growing strongly. This is a source of great pride for the company and the Vietnamese wine trademark’s establishment in Japan and world market. Dalat Wine is made from grapes using advanced European technology. It follows the best fermenting process without using any kinds of chemical substances and follows trade secrets to create a wine with a unique flavour and high stability. Many kinds of wines namely Dalat Red Wine, Dalat Wine for export, Dalat White Wine, Dalat Strawberry Wine, etc. with various designs and categories in an effort to serve the increasing demand of local and foreign customers. During the past four years, Dalat Wine has been continually chosen by consumers as a “Vietnamese High Quality Product”. It received the “Vietnam Golden Star” award in 2003, the gold medal at the International Fair of Science, Technology and Environment in 2002 and medals for Dalat Red Wine, Dalat White Wine, and Dalat Wine for export at the Hanoi Beverage Fair held in 2003. Thanks for all the information about history of wine in Dalat. Could you please recommend a wine factory/plantation that can be visit without booking a guided tour and tell us the location please? Thanks a lot.